Somewhere over the rainbow lies a magical, emerald island named Dominica. 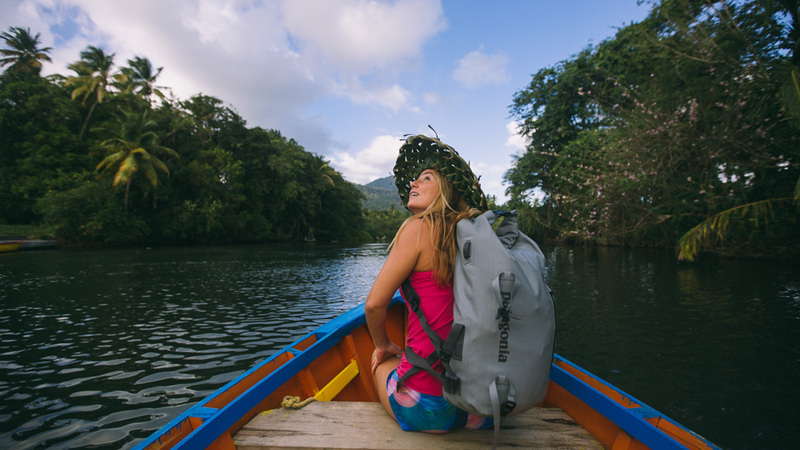 For my latest project with adventurer/filmmaker/soul surfer/naked and afraid survivor, Alison Teal, we set off to the island of Dominica deep within the Caribbean. The island of Dominica is the most mountainous island in the Caribbean with hundreds of rivers, countless waterfalls, volcanic hot springs, world class diving and not to mention, abundant wild life like whales, dolphin and parrots! Dominica is one of the few tropical islands in world with natural hot springs. After a day adventuring to the nearby Trafalgar’s famous twin falls, Tia's hot spring was so relaxing and rejuvenating! Tia’s Hot Spring and Bamboo Cottages is in the village of Wotten Waven and consists of cottages constructed of bamboo set in a lush tropical garden set in the midst of towering rain-forest covered terrain. Anchorage Hotel is a laid back family-owned and managed property is perched on the edge of the tranquil Caribbean Sea, only one mile south of the Capital city, Roseau. 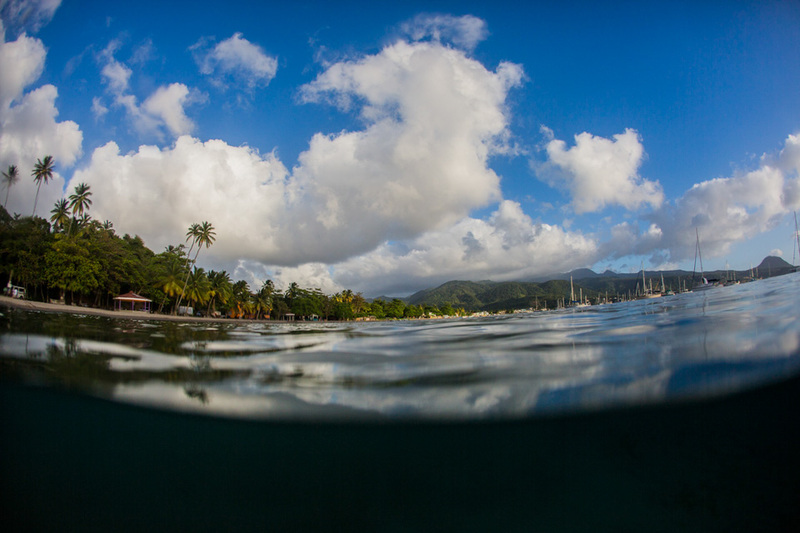 It is an ideal location for travelers of all ages to come for dive excursion or a visit to nearby Champagne Reef. The Anchorage's “Signature” Whale Watch Excursions leave from the ocean side of the hotel via a 75ft catamaran for some of the best whale watching on island! As the sun set, whales were breaching all around us, and a huge pod of hundreds of dolphin led us back to shore, dancing at the bow. Traflgar twin falls in only a short hike to a breathtaking view of two cascading water falls over 200 feet tall. There are even natural hot pools you can swim in beneath the falls. Only a five minute walk through a lush rainforest, Emerald Pool is a sparkling green pool at the base of another 40ft waterfall. If you are feeling extra adventure-y, swim under the falls for a different view. The Kalinago are the indigenous people of Dominica, formerly known as the Caribs. The Kalinago live a simple communal life, carrying on the many traditions of their ancestors. 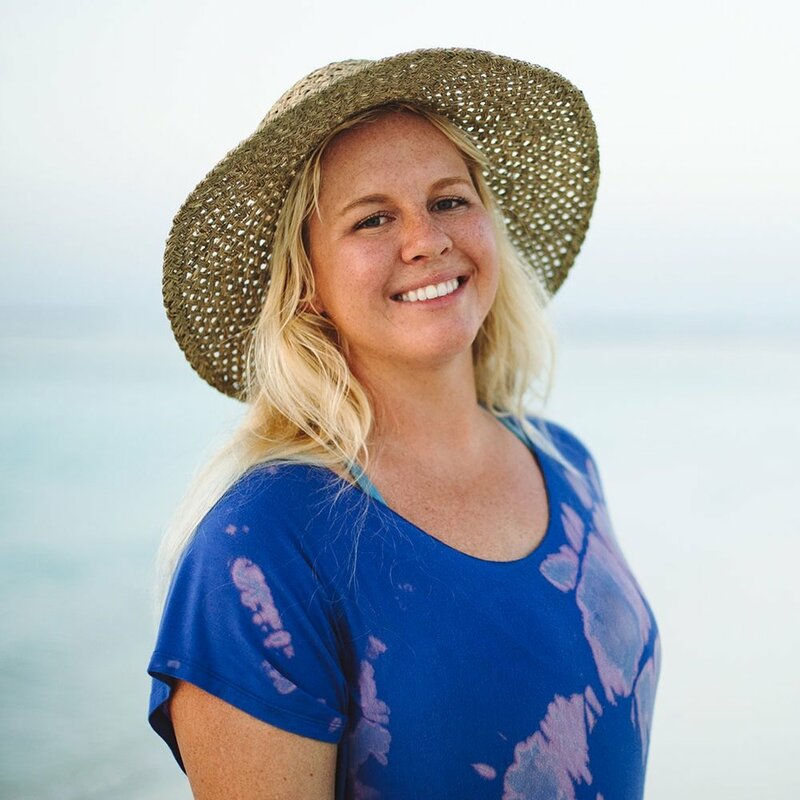 Alison was the most excited to meet the Kalinago people, learn about their traditions, legends, and beliefs that have been kept alive for thousands of years – and DANCE! 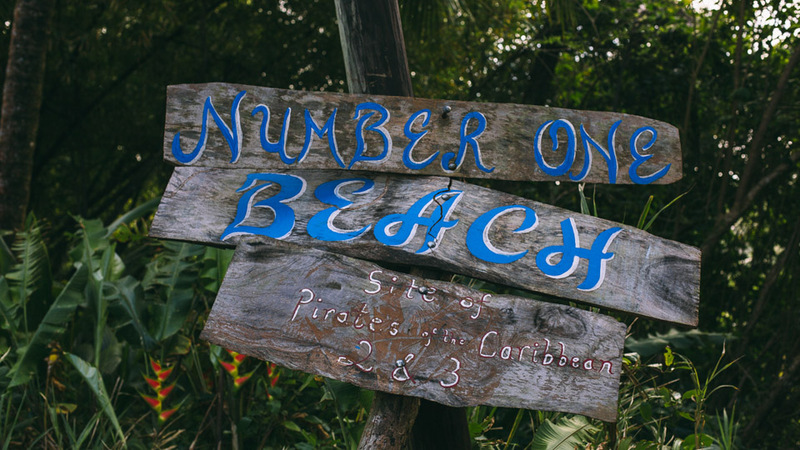 Number One Beach was a true highlight of our time in Dominica. After a short walk through a gorgeous coconut tree jungle, there is a soft black sand cove, outlined by jagged cliffs, tall coconut trees, and a rock archway jutting out into the sea. This was also a location in one of the Pirates of The Caribbean films! Titou Gorge is a super magical swimming hole, located just at the start of the hike to the infamous Boiling Lake. You can actually swim all the way through this deep, narrow gorge that was formed as molten lava cooled and split apart. While you are swimming to the small waterfall at the back, make sure you look up at the light rays filtering through the canopy above. This is a true Indiana Jones adventure and not for the faint of heart. After a short hike through coconut groves, we scaled down the cliffside on a rope ladder, and used twisted tree roots as safety foot holds where the rope were frayed. If you can make it down safely, the reward at the bottom is well worth it! A 100ft waterfall cascades off the cliffs on to a picturesque black sand beach. If the tide and surf allows, you can even stand beneath the waterfall as it pours onto the beach. It is challenging to find this location, so we suggest getting in contact with a reputable taxi driver who can take you there. Champagne Reef is a unique diving and snorkeling site and rates among the top five snorkeling sites in the Caribbean and the Bahamas. 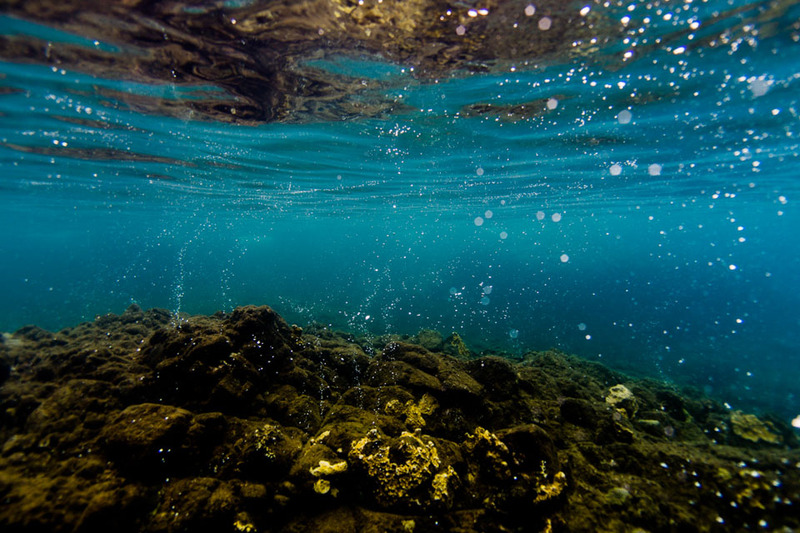 Warm bubbles spring from the ocean floor due to volcanic activity beneath the island. The guides at Champagne Reef were hilarious and very entertaining. We had a ball swimming through ‘a glass of champagne’ alongside vibrant sea life. The Indian River was absolutely incredible. Being the widest river in Dominica, you can hire a paddle boat from Cobra Tours in Portsmouth and take a ride up the river a short distance to the really cool ‘Witches Hut’ where they filmed a scene for Pirates of the Caribbean. Tucked away a bit further up the river, there's a hidden bar with a fun authentic Caribbean vibe. Their jungle punch is a MUST ... and don't forget mosquito spray. Hop on a horse and explore the nature island, eco style! One of Alison and I's childhood dreams was to ride on a horse in the ocean, and Rainforest Riding in Portsmouth made that dream come true! 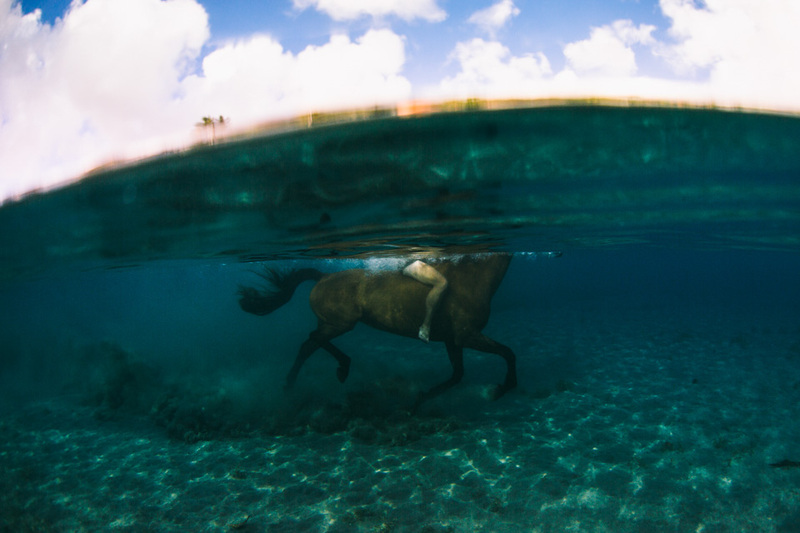 Contrary to popular belief, horses love swimming and if you listen carefully to the guides instructions, you can experience a unique ride of a lifetime. PS: Our favorite place to stay on the island was at the Picard Beach Cottages in Portsmouth. Check them out!